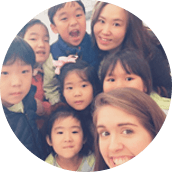 The 40-Hour Basic TEFL/TESOL course provides introductory certification in teaching English to speakers of other languages, making it a good choice for prospective teachers seeking either minimal certification or a foundation for more advanced certification. 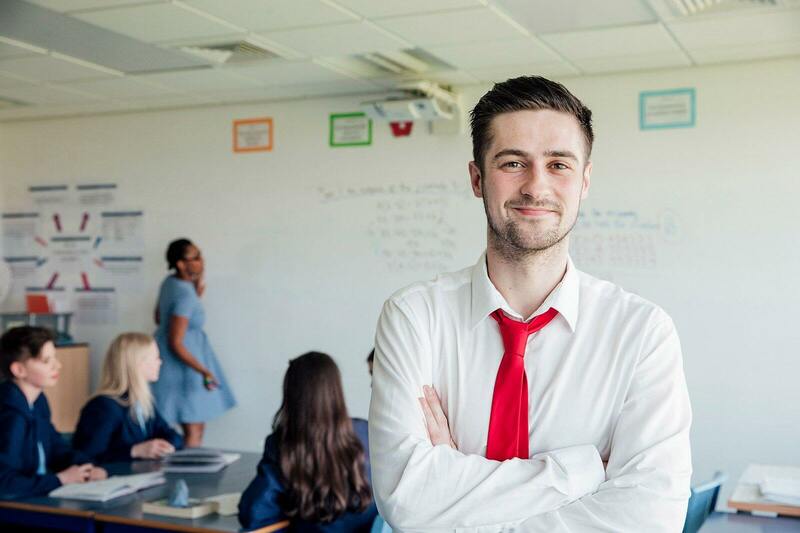 This affordable course meets TEFL requirements for some entry-level teaching jobs and can easily be upgraded to 60, 100, or 120 hours of certification at any time. Request Info on this course! 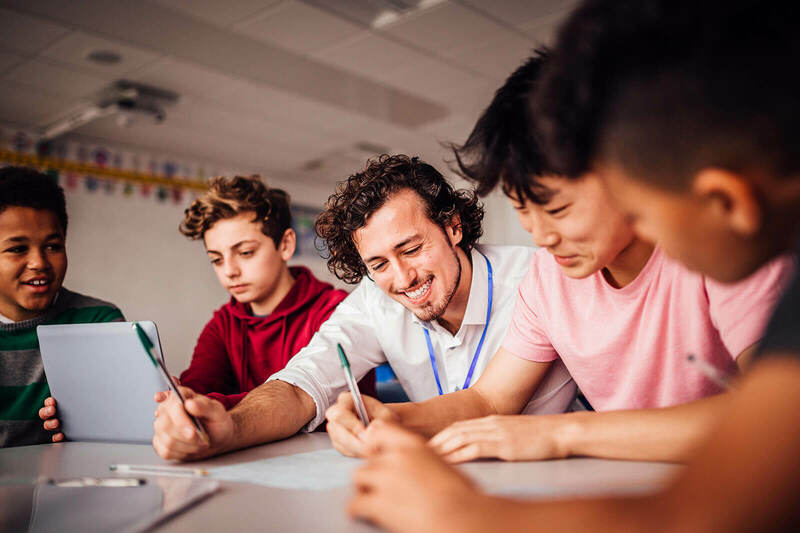 These preliminary, interactive modules cover basic topics in teaching English to speakers of other languages, including an introduction to language learning methodology, classroom management, language systems and skills, and more. The course work is 100% online and lessons are delivered via reading assignments, videos, interactive assessments, and quizzes. As part of the 6 modules, you will complete 2 short, written assignments that are submitted to your personal tutor for feedback and a grade. Your tutor is also available via the convenient communication feed, to answer any questions you have as you work through your Basic Certificate. Basic is just the beginning! 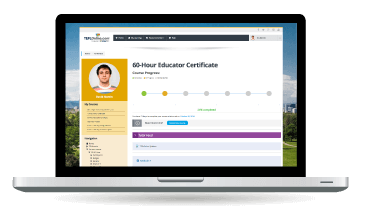 Take your TEFL career to the next level on your terms, with the option to upgrade your Basic Certificate at any time to the 60-Hour, 100-Hour, or even the full 120-Hour Master Certification. 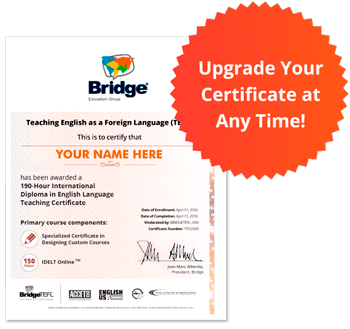 Upgrades include components such as additional modules with more tutor interaction, a refresher course/certificate in Teaching English Grammar, and specialized modules in Teaching Young Learners and Business English. 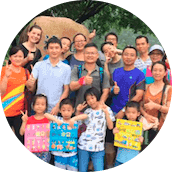 Take the 40-Hour TEFL/TESOL Certification course to earn a basic certificate, get a “taste of TEFL,” and learn the theory behind teaching English as a Foreign Language. If you answer yes to the following questions, this is the right course for you! I would like to earn an affordable TEFL/TESOL certification that can be finished as quickly as possible, in just a few weeks. I would like a course with a personal tutor to guide me and answer questions. I am not sure if I will pursue TEFL; I’d like to start with an introductory certificate to learn what it’s all about. I plan to earn a TEFL certification of more hours in the future, but for budget reasons, I prefer to start with a basic course and upgrade later. I would like job placement assistance, including lifetime access to the Bridge Job Board. After you complete your course, you can download your certificate at anytime, for free. You also have the option order a hard copy certificate mailed to you anywhere in the world, for an additional fee. Am I qualified to take this course? You must be at least 18 years and have a high school diploma or the equivalent to take this course. If English is not your first language, you must also have an English proficiency level of at least B1 (according to the Common European Framework), which is a score of approximately 5.0 on the IELTS test. The average amount of time most students take to complete the 40-hour course is 3 weeks, but you may take more or less time, depending on factors such as your other time obligations, how quickly you work, and how many hours you are able to dedicate to the course per week. You have three months to complete this course. If you need more time, you may purchase a 3-month extension. This may be done while your course is still active or up to a year after it has expired. No textbook is required for this course. All the materials you’ll need are available in the online platform. Is the 40-hour course self-paced? Yes, it is. You can log in anytime and work on your own schedule when it’s convenient for you. Please note, however, that this course includes two written assignments, and your personal tutor requires one business day to provide feedback and a grade on each one. There is no final exam in the 40-Hour Basic Certificate course. Each of the 6 modules has required a final, multiple-choice quiz at the end, and your final grade in the course is an average of your grade in all 6 modules and the two written assignment grades. Do I have to complete any assignments? Yes. There are two written assignments in this course. Each assignment is about 500-800 words. When you submit an assignment, your tutor will provide feedback and a grade on it by end of the following business day. It is unlikely you will fail the course since your final grade is an average of 6 end-of-module quiz grades and your grade on the two written assignments. However, if you were to fail the course, you could register again. TEFLOnline.com courses require access to the Internet, including the ability to watch online videos using a flash player, such as Adobe. The courses may be completed on any device, including a desktop computer, laptop, tablet, or smartphone. Does the course include a teaching practicum? No, it does not, but you can add one by registering for the 20-hour Guided Teaching Practicum. This practicum provides the opportunity to gain hands-on experience in a real ESL classroom and meet the requirements of more teaching jobs. Does this course come with job placement assistance? Yes! The course itself includes a section about professional development, with job tips by region, resume help, and other resources. You’ll also get access to the Bridge Job Board, where pre-approved employers post open teaching positions around the globe to which you can apply. Can I earn Continuing Education Units (CEUs) for this course? Yes! Our online TEFL courses are ACCET-accredited and may be taken for CEUs. 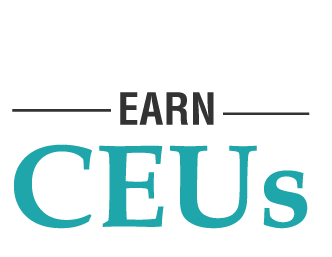 You earn 1 CEU for every 10 hours of TEFL certification. For example, an online TEFL course of 100 hours would be eligible for 10 CEUs. Click here to learn more about CEUs. Continuing Education Unit (CEUs) are nationally recognized units of measurement for participation in non-credit, continuing education programs. 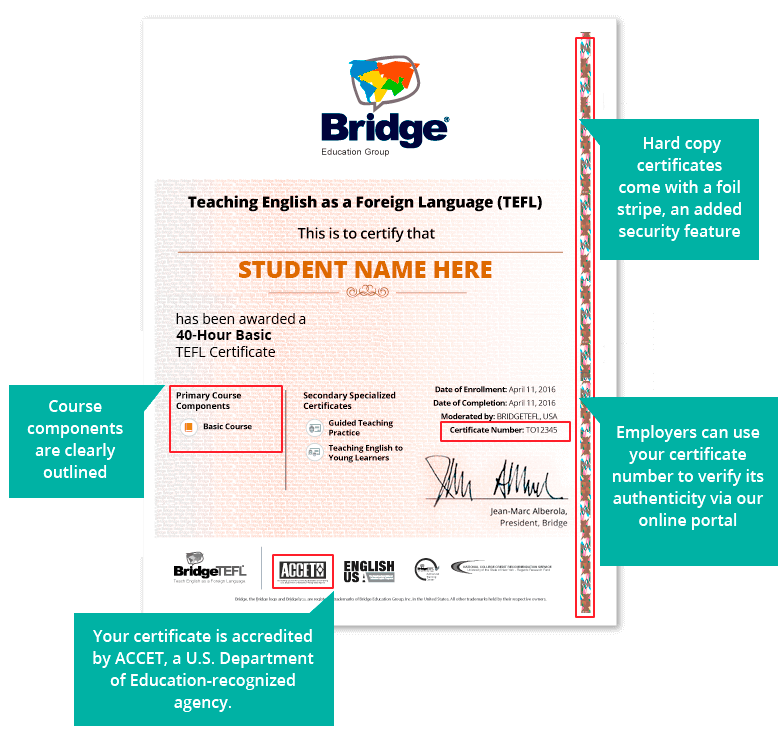 BridgeTEFL is accredited by ACCET (the Accrediting Council for Continuing Education and Training), and any ACCET-approved Bridge course, including our online TEFL programs, can be taken for 1 CEU per 10 hours of TEFL course instruction. What are Bridge graduates saying? 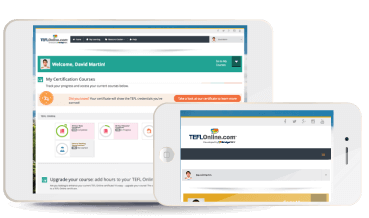 This online TEFL/TESOL course can be completed on any device. On the go? Work on your course from your phone or tablet! When you log in to your BridgeTEFL online course, you’ll see your course components outlined right on the navigation menu. The progress bar also helps you manage your time effectively. Your qualified and experienced personal TESOL tutor is there to guide you through the course. Use the tutor feed function to ask questions about what you’re learning. Receive detailed feedback and grades on written assignments via the essay submission portal. Watch videos featuring real EFL teachers in the classroom in order to observe the techniques you’re learning about and to get ideas for new games and teaching strategies. Content is designed to directly involve you in your learning, keeping the course interesting. Clickable practice quizzes and fun exercises in every module ensure you're actively engaged in your TEFL training. 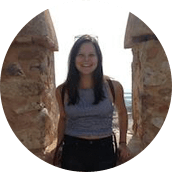 Meet some of our TEFL tutors! From the first day of your TEFLOnline.com course, you will be assigned a personal tutor who will be with you throughout your training. Tutors hold a bachelor's degree or higher and have teaching experience either at home or abroad. Your tutor will provide feedback on the written assignments and lesson plans you submit for each module of your course, as well as answer any questions you have about what you're learning. 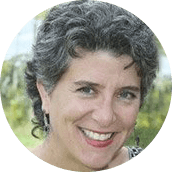 Ashli has been teaching since 2002 in the United States and Costa Rica. She has a B.A. in Linguistics, an M.A. in Education, and a TEFL certificate. Currently, she teaches English classes at a university in Germany. Cheryl Madrid, Ed.S., lives just outside Denver. 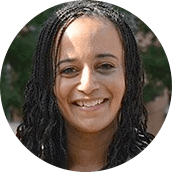 She is the academic coordinator at an intensive English program and has been an online TEFL tutor and IELTS examiner for Bridge for about seven years. Suzanne has a BA in English and an MA in Creative Writing. She has taught at DePaul University, Columbia College Chicago, and The School of the Art Institute, Chicago. She is the author of two novels, Promising Young Women and Her 37th Year, an Index. Ann Leonard has a B.A. in Germanic Studies and an M.A. in TESOL and has been in the field of adult language education since 1991. 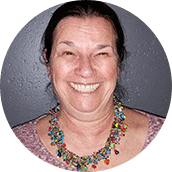 Ann is also an instructor for the graduate-level, online TESOL course, the Bridge International Diploma in English Language Teaching (IDELT Online). 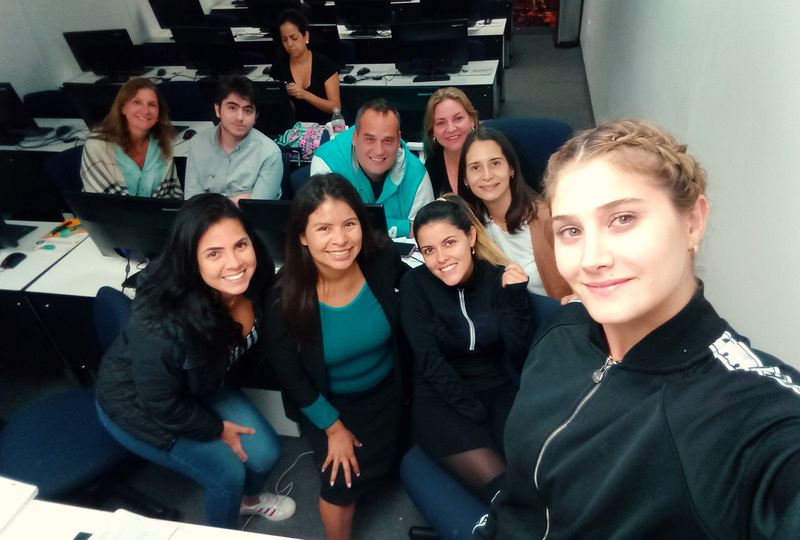 Gabriela (Gabby) has an Associate's in ESL Education and a Bachelor's in Public Technical Literary Translation and more than 18 years' experience in Teaching English as a Foreign Language (TEFL). 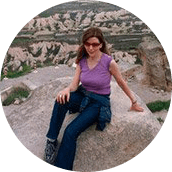 She has worked as a classroom TEFL trainer for more than 10 years and as an online trainer for over 8. Katie earned her bachelor's degree in French and her master's degree in TESL/TEFL. She has taught ESL for intensive English programs in Colorado and Wisconsin. 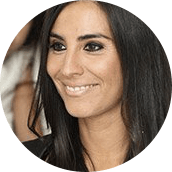 She loves the science, art, and pedagogy of language acquisition and has studied French, Spanish, German, Japanese, Italian, and Arabic. Tiffany Hendrix holds a master's degree and has taught history and ELL in Clark County School District. 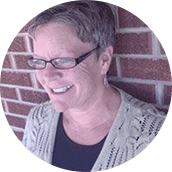 She has presented at iTESOL conferences in Utah and is an active member of iTESOL and TESOL. 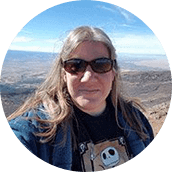 She is currently beginning a new chapter as a French and ELL teacher in Western Colorado.